AS Hong Kong awaits the formal publication of the conclusions of the independent inquiry headed by Mr Justice Noel Power into whether a senior government official attempted to interfere with Dr Robert Chung Ting-yiu's polling activities - which were yesterday submitted to the University of Hong Kong's governing council - it is a rare person in the SAR who has not already formed an opinion as to what must have happened. Mr Justice Power has hinted at a possible non-conclusion by imposing the harsh criterion of "beyond a reasonable doubt" to guide his final report as if he were dealing with a criminal case in a courtroom in which witnesses were under oath to tell the truth, and nothing but. Since this was a mere fact-finding inquiry, no one was under oath and even the inquiry panel's lawyer, Patrick Fung Pak-tung, SC, asked on live television whether the contradictions in the different accounts of events meant that someone must be "lying in his evidence". Just as in the celebrated case of former American football star O. J. Simpson, acquitted of murdering his ex-wife and her friend, most people who followed that case with any common sense had a view on who the killer was - yes, even beyond a reasonable doubt. In Hong Kong, it is not about a murder but an attempt to interfere. So an intelligent conclusion does not hinge on complicated DNA analyses or forensic hypotheses. This saga involves far more serious issues than whether Tung Chee-hwa's senior special adviser, Andrew Lo Cheung-on, was only acting as a humble "junior person" - a "parrot" looking for intellectual enlightenment - when he went to see the University of Hong Kong vice-chancellor, Professor Cheng Yiu-chung, to discuss Dr Chung's opinion polls. Or whether the vice-chancellor had a habit of "mumbling" to himself and this was mistaken by others as a directive. Or whether Dr Chung is effectively a Freudian basket case looking for positive reinforcement from the Chief Executive to gratify his fragile ego. This is about the ethical behaviour of people in high places. It is about how power ought or ought not to be exercised in a civilised society. Perhaps the most relevant issue is whether Hong Kong's future lies in discarding its liberal democratic yearnings in favour of reverting back to an orderly, Confucian past that puts a premium on authority and obedience; or should this society keep building on its emerging democratic institutions to become a truly modern civil society? It is clear that the Chief Executive, his allies in the Executive Council and his pro-communist allies outside the Government favour reversion. In their minds, to revert to China's past values is not only a matter of racial pride, it is patriotic. Authority, obedience and stability above all, are cherished slogans of China's top leaders. It is this mindset that helps explain much of the SAR Government's behaviour. In their minds, since Mr Tung's inauguration, it is beyond any shadow of doubt that those who are not compliant are unpatriotic and un-Chinese. Under such a mindset, those who are pro-China, pro-communist are friends, while those such as the Democratic Party, Apple Daily and South China Morning Post are all enemies. Last month, when Mr Tung decided to reveal he had abandoned his housing target of 85,000 units two years earlier, he selected only six pro-government newspapers representing 25 per cent of the readership for an exclusive interview, shutting out the rest of the media including the Hong Kong Economic Journal, the only serious intellectual Chinese-language paper published in the SAR. The message is clear: if you are not my friend, you are out. University of Hong Kong Professor Ying Chan, Dr Chung's current boss but a peripheral figure in the polling saga, was most poignant in pointing out in her final presentation the corrosive effect of a "culture of subservience" evident in the sequence of events starting from Mr Lo's supposedly "humble" visit to the open letters which Dr Chung sent out. Unfortunately, Professor Chan did not pursue this excellent theme by asking whether this culture was only limited to the principles of this saga or was endemic of Hong Kong society as a whole. Instead, as if to prove the existence of that very culture she denounced, she sided with her seniors and lashed out at Dr Chung for having blown the whistle over nothing. She claimed there was no infringement of academic freedom as Dr Chung was never stopped from doing his work. It must have slipped her mind that if polling work had in fact been stopped, an inquiry would have been unnecessary. Is there a culture of subservience in Hong Kong? If so, is it so well implanted in the Chinese psyche that it only takes a slight nudge by the political leaders to activate it, infecting even the academic elite? Is it only a matter of time before such feudal values of subservience return as Hong Kong's dominant value system to shape how seven million of the freest Chinese in the People's Republic will relate to their government and fellow citizens, their professors and employers in the years ahead? Indeed, is it possible that the numerous social and political conflicts since Mr Tung's inauguration reflect the anxieties of a significant segment of Hong Kong's population that has internalised many of the liberal democratic values natural to a society of people who cherish freedom? Is it possible that they fear Mr Tung, by his language and style of politics, may be pulling Hong Kong towards a communist China in values and habits? Mr Tung has the right to find comfortable camaraderie in the company of communists, but not many other people in Hong Kong do this. In fact, even on the mainland, few people do this. Offspring of senior communist leaders are among the most anti-communist critics one encounters in China, or at Harvard University. If, in fact, this Government is not in touch with the yearnings of a large number of Hong Kong people, then it is inevitable that more conflicts will occur in the future, for they reflect genuine differences in values between the ruler and the ruled. Conflicts are inevitable in any society. Democratic institutions are invented precisely to resolve conflicting demands by different groups in a fair and peaceful way. It is messy, but as former British prime minister Winston Churchill said, democracy is a terrible system but the alternatives are even worse. It is rare that an executive-led government can act fairly and wisely as the final arbiter of such conflicts. And a preponderance of examples throughout history proves beyond any reasonable doubt that an executive-led government will, in the end, fail to be fair and wise. Hong Kong under British colonialism worked because Hong Kong people made an implicit pact with the Brits. Shield us from the communists, let us make money, govern us well, give us an impartial legal system, and we will let you have a monopoly on power. But there has been no such pact since July 1, 1997. The Basic Law outlines a programme of governance many people across the political spectrum believe is unsuited to solving today's problems. Yet, Mr Tung and his allies seem to believe even that programme is too fast for the good of Hong Kong. There is clearly a vast gap between the ruler and the ruled and the present political system is an obstacle to narrowing that gap. Mr Tung and his allies among the elite are instinctively anti-democratic. They do strongly and genuinely believe that democracy is a destructive force unsuitable for the Chinese people. The supreme irony is that an increasing number of people in China, including government cadres, have come to believe that only restoring democracy in China can solve its many political, social and economic problems. They consider people such as Hong Kong's Chief Executive and his local communist allies curious relics of the past who are even more "leftist" in their thinking than some of the mainland leaders. Andrew Lo and Professor Cheng's actions in the Robert Chung saga are reminders that Hong Kong's political and intellectual elite, far from being a potential guide to China's future, may even be out of tune with their own community here in Hong Kong. TUNG CHEE-HWA is a proud traditionalist. Now he has a chance to start a new tradition, under which those in power take responsibility for their actions, by asking Andrew Lo Cheung-on, his senior special assistant, to leave. Mr Lo has been behaving as if he were the consigliere to the Godfather - the "special adviser" to Marlon Brando's Don Corleone immortalised by Robert Duval in the classic Hollywood movie. Mr Lo disgraces the noble profession of serving the public by abusing his position of power. He grossly overplayed his hand by visiting the University of Hong Kong to relay his concerns to the vice-chancellor about the quality and methodology of polling expert, Professor Robert Chung Ting-yiu. 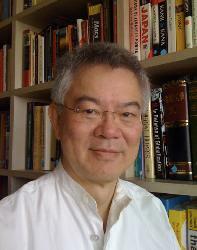 If Vice-Chancellor Cheng Yiu-chung had acted like a true scholar, he would have answered Mr Lo with a long silent look. If Mr Lo had persisted, Professor Cheng should have calmly told him that whether Dr Chung's work was good or mediocre was a proper subject for open, critical debate by the pollster's peers, and that Mr Lo would be welcome to participate by submitting a well-argued paper for publication. Government officials around the world regularly argue their views in quality journals. Instead, Professor Cheng, who is well known for his ability to mix with the powerful, sacrificed sound academic principles to remain in their good books. Soon afterwards, Professor Cheng's deputy, Pro-Vice-Chancellor Wong Siu-lun, twice called Dr Chung in for a "friendly chat". This case was not the first in which Mr Lo used his position to influence non-government organisations. Dr Arthur Li Kwok-cheung, Vice-Chancellor of Chinese University, said yesterday that Mr Lo had also met him to discuss the university's polling work. While officials around the world often feel they get unfair treatment by the press and complain loudly, Mr Lo went beyond mere words. He took action in a way that is most disturbing in a society where the rule of law is still taken seriously. The Asian Wall Street Journal reported last week that last autumn, Mr Lo asked several of Hong Kong's largest real-estate companies to withhold advertising from the Apple Daily. The Chief Executive is known to enormously dislike that mass-market daily because of its persistent criticism of his policies. In response to the Journal article, Mr Lo denied any such action. However, the essential facts of what he did had been well known by the foreign press since last winter. The reason the story was not published sooner was because the real-estate executives involved would not initially corroborate the story for the record. They believed Mr Lo was carrying out Mr Tung's order. It was also believed some Executive Council members were supportive of Mr Lo's action. Advertising was withheld from the Apple Daily for three months before it resumed late last year. There were two main reasons why the boycott was eventually lifted. Late last year several foreign reporters began to research the incident. Some called Mr Lo for a comment. Mr Lo did not return calls. He would have been correct in assuming that Mr Tung's credibility would have been severely damaged if the boycott, then in progress, had got into the world press. The Apple Daily's senior management, astonished by the blatant pressure, approached several Beijing confidants to inquire whether the boycott had been initiated by Beijing. Some pleaded ignorance, others were embarrassed. The fact was that Beijing had no such policy. Nor were the top leaders aware of the boycott, though the former premier, Li Peng, shares Mr Tung's distaste of Apple Daily. Saner minds in Mr Tung's administration prevailed and the boycott was eventually lifted allowing the property developers to feel politically safe to advertise in it again. The paper has the second biggest circulation in Hong Kong, and property developers understandably wanted to reach as many potential buyers as possible by placing advertisements in it. After Mr Lo's well-reported intrusion into academia, some of the real-estate tycoons who were circumspect nine months ago must have realised that a cancer was growing in Hong Kong that could destroy its basic fabric. They finally decided to speak to the press. But several questions remain unanswered. Did Mr Lo act alone, without the backing of other senior members of Mr Tung's inner circle? Who else in the Government knew about the boycott? Mr Tung's late father was a legendary capitalist, even if his first born son sometimes acts like a paternalistic communist. Mr Tung must know that when a private company in Hong Kong no longer feels free to choose who to do business with and how to do it, then this Chinese society, still the freest (so far) in the People's Republic, is on its way to becoming just another mainland city. Beijing surely does not need another one. Mr Lo would be disingenuous to insist that what he did on his own did not carry the power associated with his office. In the real world, proximity to power is power. Few individuals have Mr Lo's access to the Chief Executive and Mr Lo is well aware of his privileged position. A senior official also loses his "personal" capacity in what he does. That is why government officers must take extra care in what they do and say even privately, let alone publicly, for the public generally considers what officials do as an act of the Government. Mr Tung claims he never ordered Mr Lo to organise a boycott against the Apple Daily, nor that he asked Mr Lo to talk to anyone at the University of Hong Kong about Dr Chung. Since Mr Lo has done both, the Chief Executive must make it clear that he disapproves. Mr Tung must not let the issue be clouded by his well-known tendency to confuse private loyalty to his staff with his responsibility to the seven million SAR citizens who pay his salary. Mr Lo is a public servant, not Mr Tung's private employee. Mr Tung must convince an already jaded public about his own integrity by firing Mr Lo, whose behaviour has betrayed the public trust as well as Mr Tung's. He should reassure Hong Kong that no official in his administration will be allowed to intimidate any citizens. If Mr Tung does not do so, then the world would be correct to assume that Mr Lo was in fact carrying out Mr Tung's wishes. If Mr Lo acted on his own without prior approval by his boss, then the Chief Executive, by letting Mr Lo keep his job, would be in effect taking responsibility for what his underling has done. There is no reason for Mr Tung to do so. Mr Lo must go. IF THERE WERE a general election today, Tung Chee-hwa would lose by a landslide, beaten as convincingly as former United States president Jimmy Carter was by Ronald Reagan in 1980. Mr Tung's ratings are at an all-time low and even his ally, the Liberal Party, which had previously slavishly followed Mr Tung's wishes on how to vote in the Legislative Council, took to the streets recently to protest against his housing policy. But who could beat Mr Tung in an election? The answer is no one. Beijing's support for him is total and no one could contest his job without Beijing's approval. Mr Tung should be congratulated for gaining that trust, for without it the relationship between the SAR and the mainland would have been far too unstable. Beijing likes predictability and Mr Tung has the predictable feudal values that the communist leaders share. Mr Tung may not be a fast student, but he is aware of some of Hong Kong's pressing problems. He has promised to reform the SAR's deeply-flawed education system and to improve its depleted natural environment. If he could achieve these two objectives in his next term, history would be kind to his legacy. However, Mr Tung must change his way of governing. The time is overdue for him to bring on board his own team. He has to articulate a vision, work closely with the legislature to shape an agenda, gain its support and then hold his cabinet responsible for executing such policies. Instead he packs his Executive Council with people short on talent, and sticks with an inherited colonial service that is unaccountable to the public. As a former owner of a shipping company, Mr Tung was a loyal employer and his staff were seldom fired for incompetence. But as a public leader, his responsibility to the public must assume a higher priority than the careers of civil servants. Yet he protects them as if he had hired them himself and reacts to any criticism of them as if it was a personal attack. His relationship with Legco is contentious. Mr Tung divides and subjugates it unnecessarily, turning the directly elected representatives into enemies. He relies on the pro-big business, pro-communist legislators with farcically small constituencies. But even those who normally dance to his tune now seem concerned by his paternalistic "I know better" attitude. The art of good politics is to unify opposing viewpoints. The Chief Executive often treats the directly elected Democratic Party as if his differences with them were a contradiction between the "enemy and the people" - rather than that of "people to people" politics, to borrow a popular communist phrase. Mr Tung will need the Democrats' help to restructure Hong Kong's economy and meet the challenge of globalisation, a process in which some segments of society will suffer so that all may benefit in the long run. To lead the way requires mobilising the people behind the Government, and the Democratic Party represents a large part of the people. Mr Tung should learn from Jimmy Carter's embarrassing one-term presidency. Mr Carter, a former nuclear submarine commander, was considered the best-trained president ever to sit in the Oval Office at the White House. But he failed as a leader, despite impeccable integrity and intentions, because he never managed to gather the people behind him. He was a micro-manager who read everything, knew every detail, but missed the proverbial "forest for the trees". By contrast, Ronald Reagan, his successor as president, was a B-grade movie actor who did not read much and gave wonderful parties. But he could articulate a vision that moved the people and Congress behind him to survive a painful bout of inflation, high interest rates and worrisome budget deficits. The end result was that Mr Reagan became one of the most popular presidents America ever had. Mr Tung can still turn the tide. With his second term all but assured, he should avoid second guessing whether what he does in Hong Kong might displease his communist bosses in Beijing, since they have always given him a carte blanche - so long as he remains within the terms of the Basic Law. They have enough headaches running China without also having to solve the Chief Executive's local problems. He should relax, dress down, appoint good people, delegate, and give fun parties. Hong Kong became what it is on the basis of less, rather than more, government. Even his direct boss, Premier Zhu Rongji, understands this as he leads the charge to join the global market, while reducing Beijing's role in the mainland economy. Hong Kong does not have much time left to become first rate because it remains bloated with overpriced properties, which are not a sustainable source of wealth. The SAR needs a robust, diverse and creative community doing more interesting things than simply putting walls together, trading them among each other and calling on the Government to reduce supply, so that they can make money out of an artificial shortage. High property prices on that basis are false signs of growth and will condemn Hong Kong to economic mediocrity. Better education, fairer competition and an improved environment are the keys to healthy growth. Hong Kong has a well-deserved reputation as a place where anybody can become a success. Many of the 30 tycoons recently summoned by Beijing to be told to support Mr Tung for a second term were poor refugees when they first arrived on these shores. Mr Tung should not let his Government become an instrument to pamper those who have made it rich. Instead he should ensure that society remains open and fair, so that everyone can have the same opportunity that those tycoons enjoyed. High property prices are the root of all the SAR's economic ills and the Government should stop rigging the market and allow costs to fall. CRITICS OF CHIEF EXECUTIVE Tung Chee-hwa's housing policy want him to abandon his long-term goal of selling more subsidised housing to the "sandwich class", whose income is historically inadequate to buy a home in the free market. But their real agenda is to get the Government to put a floor under the soft property market, using "negative equity" among many homeowners as supposed "evidence" that the Government must act. This is a shallow argument, devoid of intellectual integrity. These critics forget there are more people out there who still cannot afford to buy, and that there are business owners who cannot survive or prosper because of high wages they have to pay, much of which their workers use to pay their residential rents or mortgages. The pervasiveness of real-estate prices in this asset-inflated economy is such that it exaggerates only slightly to categorise the rigged property market as the mother of all Hong Kong's economic ills. Critics fail to address the central issues of how to provide affordable housing in an economy grossly distorted by property price inflation and how to make Hong Kong competitive again. They say property values have declined by 50 per cent from their peak and are now reasonable. That is nonsense. Peak values in 1997 were absurd: 50 per cent from those levels still makes Hong Kong over-priced and one of the most expensive places in the world. Favourable comparisons with London and New York's real-estate market are misplaced, as both those cities are metropolises of countries with broad economic and intellectual activities that create genuine wealth. Hong Kong is conspicuously short of intellectual capital. Its education system, strangulated by inept government bureaucrats, can hardly produce students proficient in Chinese, let alone English. Hong Kong used to be unique. It was the world's window to China and vice versa. Its excellent bilingual labour force was the envy of its Asian neighbours. It justifiably charged a premium price for its location, its labour and its services. But the opening up of China and the decline in Hong Kong's labour quality have greatly reduced the SAR's claim to such a franchise. High property values have further eroded that position. Neighbouring cities have become viable alternatives to Hong Kong. Even Sydney is the preferred location for Hollywood movie production in Asia, even though Hong Kong has always been a movie town. Costs in Shenzhen, Shanghai, Singapore and Sydney are a fraction of those in Hong Kong. Such a disparity cannot be explained away simply by the allegedly higher productivity of labour in the SAR. The Internet and high-speed data transmission has chipped away at the importance of where one is located. Soon, broadband transmission will become widely available. The importance of location will be replaced by the importance of speed. Hong Kong is not doing itself a favour by remaining expensive. A responsible government with a long-term view must bring Hong Kong's real estate prices down further, and has the ability to do so, since its own land policy is the main determining factor of such prices. Critics say the Government should not intervene in the private market. That is, in general, true. But when it comes to Hong Kong's real estate, intervention is not the issue, since the Government is the sole seller of land and its usage rights. Whatever the Government does amounts to "intervention", as its actions affect the market price of property. The Government should exit the business of manufacturing public housing. It should instead sell the land parcels publicly to the private sector to build on them. It should not compete with the private builders for customers. Above all, it should be totally transparent over how much land it plans to sell. Right now, its decisions are entirely arbitrary. The standard government mantra that "it depends on market conditions" is no rule at all. The Government should announce a target of selling a minimum amount of land every year - or, more accurately, the building space such land can generate on it - at the rate of the nominal growth in incomes in Hong Kong. The Government should then stick to such an auction programme. Its current policy of making land available on a reserve list - in which potential bidders can express interest - allows large developers to decide when to buy. The Government should sell space the way any government sells bonds to finance its operations. It must not try to play the market by timing it. It should stop manipulating it to maximise revenue. The cost of doing so will be reflected firstly in a bubble, and later in economic stagnancy. The bubble in the 1990s was a result of the Government limiting the sale of land to 50 hectares per year in the run-up to the handover. This was a Beijing-imposed decision suggested by local property tycoons and agreed to by the departing British who, by then, couldn't care less. Once the market is convinced of the stability of the government policy, prices will adjust quickly and the Hong Kong property market will become more affordable and less volatile. In the short term, property owners are likely to see their values depreciate further. However, without short-term pain there will not be meaningful economic growth to support the current level of property prices. Mr Tung should be commended for understanding this problem. He should also be decisive. He cannot keep supporting the property market by withdrawing supply of space. Mr Tung should choose a better alternative to accomplish his goal by selling the land and letting the private sector build affordable housing. An expensive economy can adjust in one of two ways (or both) to regain competitiveness: allow the exchange rate to depreciate or allow asset prices to fall. Hong Kong, unwilling to change its peg, panicked as asset prices were adjusting and intervened massively in the stock and property markets on the unfounded assumption that the banking system would otherwise collapse. A great opportunity for Hong Kong to stay competitive was lost. Lower property prices would hurt a certain sector of the economy temporarily, but will benefit all sectors of the society in the long run. This even includes the developers. Abnormally high developer margins may, and should, disappear, but the volatility of the market will also be reduced. The supply side effect encouraging more and newer businesses to start and prosper will be substantial. Mr Tung can achieve this by sticking to a straightforward land auction schedule, and selling land of varying sizes at a regular interval at whatever price the market dictates. This is similar in spirit to the 85,000 new flats a year target Mr Tung set in his 1997 policy address.